Squeee!!! You guys have no idea! I’ve been eager to show off this cover for weeks now. It’s like taking a breath of fresh air, now that I can reveal it. *grin* I hope you all love it as much as I do. 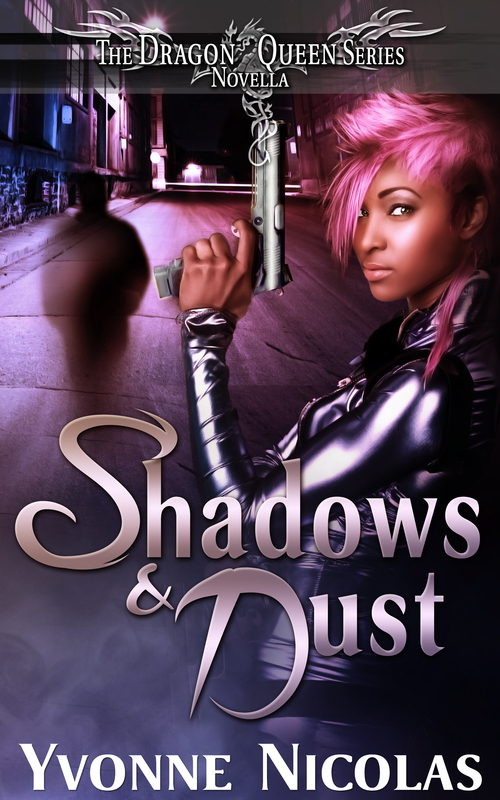 I now present to you, the new cover for Shadows & Dust, a short story fromThe Dragon Queen Series. This wicked cover was designed by my favorite CA, Karri Klawiter. What lurks in the shadows may claim your life.